Spotify has been a part of the Samsung Gear since the Gear S2. What’s been missing since then, is a way to listen to music right off the Gear without a connected smartphone and without needing a connected smartwatch. This is where offline playback comes in. 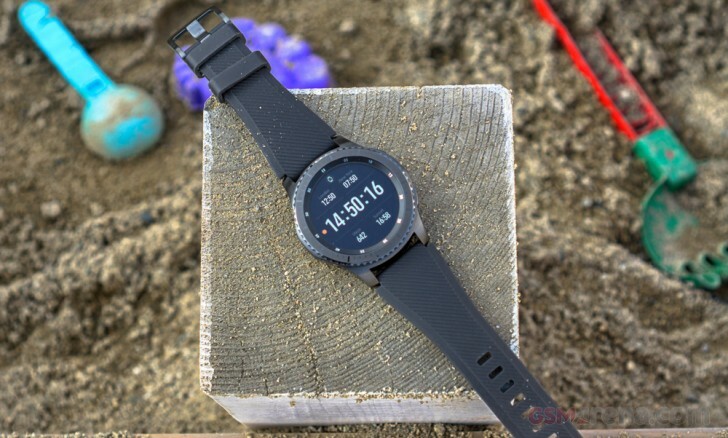 Now you’ll be able to download certain songs or playlists to the Gear S3. This is the first smartwatch to feature offline music playback capabilities for Spotify. While Android Wear can save offline music from Google Play Music, there isn’t as robust of a Spotify app for the same platform. Offline Spotify playback is also in the works for the Apple Watch. If you remember, a third-party app developer that made an unofficial Spotify app was officially hired by Spotify to make its official Apple Watch App. While the announcement was up yesterday, it seems to have been taken down from Samsung’s Swedish website. This could either mean that Samsung was not ready to release the feature and had to roll it back, or it would rather announce it when the iOS offline feature is also ready. Do you have a Gear S3 with this feature working? Let us know! Can someone with the offline playback let me know what version number is the Spotify app in the gear app store for them please. I'm using gear s3 frontier LTE with my iPhone, and still, there is no Spotify available in the market. Any solution?